First, your guide shows you the most important chapters of the Hungarian Jewry’s history and the Elizabethtown. 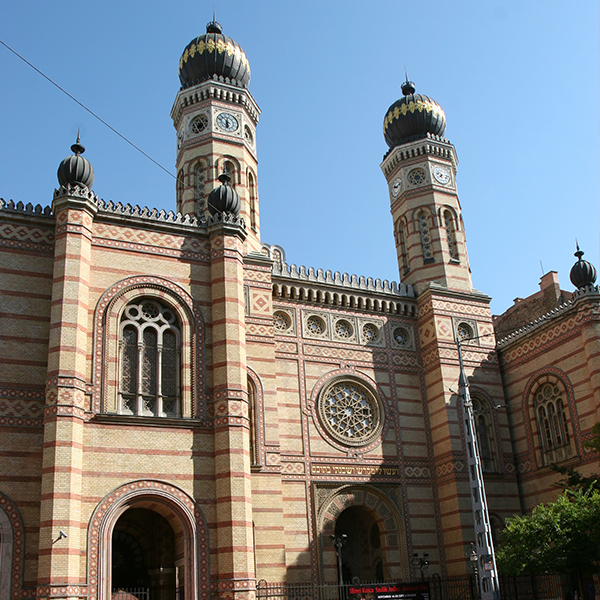 As the highlight of the tour, we visit the Dohány Street Synagogue (interior visit), which is the largest in Europe and the second largest in the world. 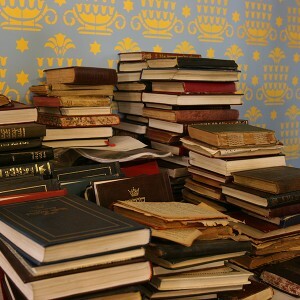 You also get a local guided tour in the Jewish Museum, where you get acquainted with the Hungarian Jewish heritage trough a unique collection of art pieces from Hungary and Eastern Europe, and the rich tradition of Judaism, its holidays and everyday life. A separate room commemorates the Hungarian Holocaust. At the end of the tour you will be given a Jewish Centre entrance ticket. These tickets are valid for one entry during next 24 hours. If you would like to go back the next day to the Jewish Centre, please keep your ticket and show it at the entrance gate. We don’t have tours on Jewish holidays, when the great Synagogue is closed for guiding. (those dates can not be booked on the sites linked below). If you are interested in a private tour (English, German or French), we are there for you during the whole year! A private tour ensures that you have your very own guide, start the tour whenever you want and decide what you want to see! In case you want to have more information or want to set up your tour, do not hesitate to contact the Hungária Koncert Ltd.